The Grain or The Grape… who will win the event when pairing with the menu? Join us for 4 FANTASTIC FOOD COURSES PLUS SORBET, each matched with the award winning Good George Brewing beers and ciders PLUS Te Awa Winery Left Field series of wines. 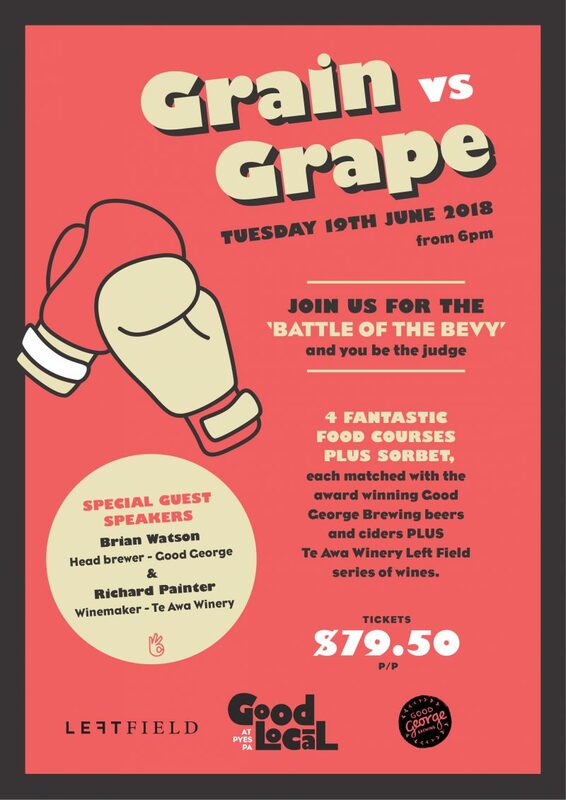 Oh and did we mention that Richard from Te Awa Winery just won 2018 Winemaker of the Year… it should be a great night not to be missed. Tickets available for purchase from the bar.